The Pepperdine University School of Public Policy spring 2017 commencement ceremony will take place at Alumni Park in Malibu on Friday, April 21, at 10:30 AM. The event will bestow an honorary Doctor of Humane Letters degree upon John Sibert and honor John Thomas (MPP ’10) as this year’s Distinguished Alumnus. 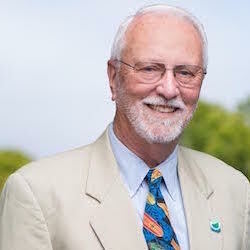 A resident since 1985, years before it was incorporated as a city, Sibert served as mayor of the City of Malibu from 2012 to 2013 and again from 2016 to 2017. Shortly after moving to Point Dume over 30 years ago, Sibert served on the Malibu Township Council and was later elected to the Malibu City Council, where he served from 2008 to 2016. Over the course of a varied and distinguished career, Sibert was an assistant professor of chemistry at Yale University (1969-1978); research chemist and manager of the Corporate Research Laboratory at Atlantic Richfield Company (1978-1986); chemistry and chemical engineering division administrator at California Institute of Technology (1986-1989); founding executive director of the Alaska Science & Technology Foundation (1989-1995); vice president and chief operating officer of California State University Institute, Long Beach (1995-2001); managing partner at Global Financial Group (2000-2010); and a member of the board of directors of WEX Pharmaceuticals Inc. (2004-2011). Sibert completed his bachelor’s and master’s degrees at the South Dakota School of Mines and Technology and received his doctoral degree in chemistry in 1969 from University of California, San Diego. Thomas is the founder and president of Thomas Partners Strategies, a full service media, strategy, and crisis communications firm. 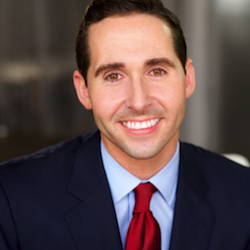 He is actively involved in shaping the political landscape across the nation and specializes in strategy consulting and television creation for political campaigns, corporations, ballot measures, nonprofit organizations, and universities. He is KFI 640 AM’s official political analyst and host of KFI’s Thomas Guide Show. He is also a frequent political commentator and author in the media, ranging from local and national radio appearances to cable news stations like CNN, Fox News, MSNBC, FOX 11, PBS, and numerous national outlets like Daily Caller, Politico, RollCall, New York Times, Wall Street Journal, and Campaigns & Elections magazine, among others. Thomas is passionate about civic involvement, volunteering his time as a leader for Southern Methodist University’s Los Angeles alumni, serving on the boards of Pepperdine’s School of Public Policy and CalWatchdog (California’s leading political investigative journalism outlet).